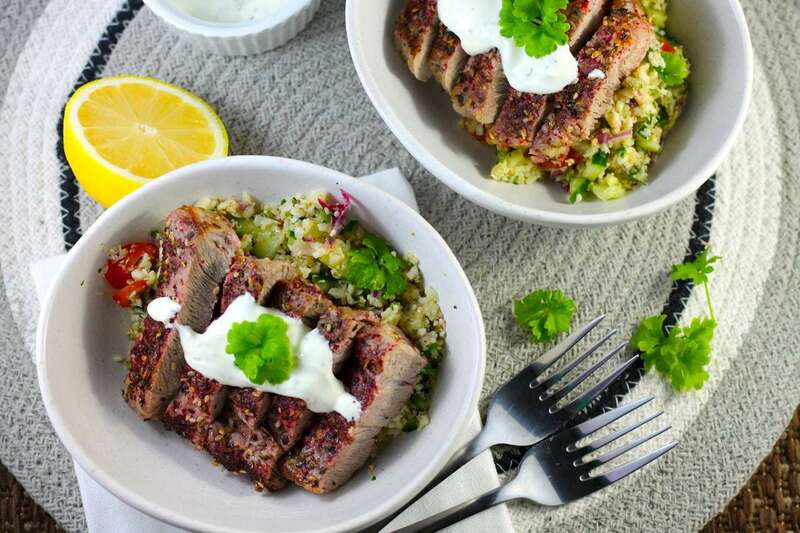 Zaatar is a fantastic middle eastern spice with a base of sumac that goes so well with this tasty recipe for a Keto Pork Steak. 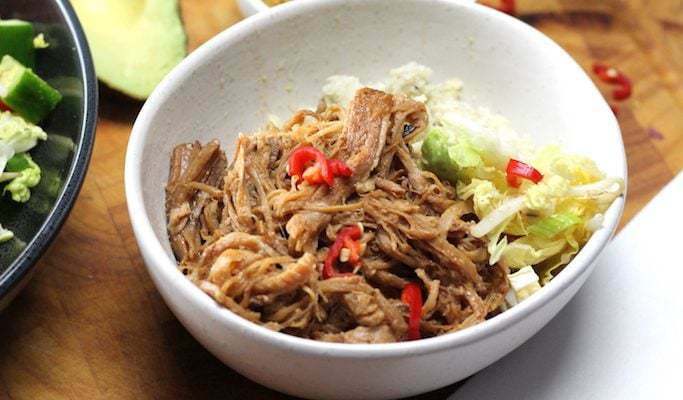 It is available in most supermarkets, and paired with delicious fatty pork, it melts in your mouth and creates an interesting flavour profile. 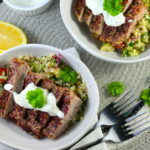 I love to pair my Keto Pork Steak with this favourite salad in our house – Keto Tabouleh,. The freshness pairs so well with the richness of pork steak. 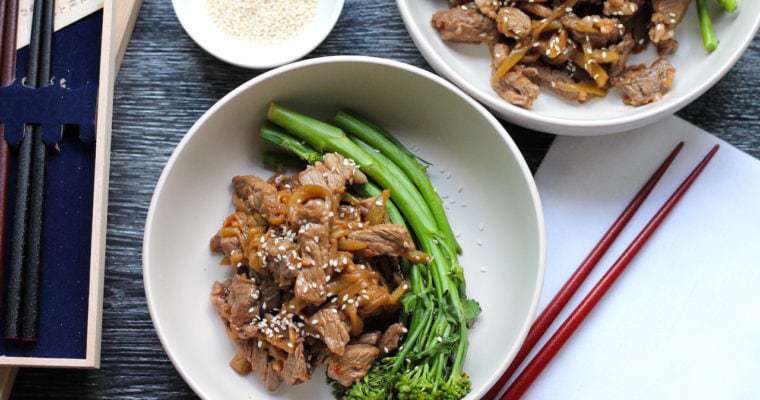 By flash frying the Keto Pork Steak in a frying pan then finishing in the oven, you keep the beautiful juices in the meat and end up with a succulent and flavourful dinner. 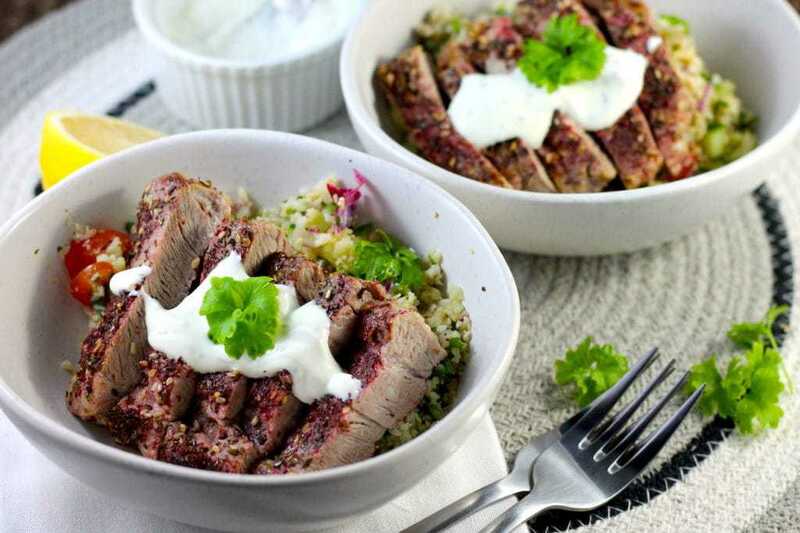 Served with a tangy minted yoghurt, this dish is ready and on the table in just 20 minutes. One of my other favourite Middle Eastern inspired Keto recipes is Shakshuka. This baked egg dish is to die for, so rich and satisfying and perfect for a cold day outside. Even better for left overs at work! Preheat the oven to 200C / 392F and line a small baking tray. 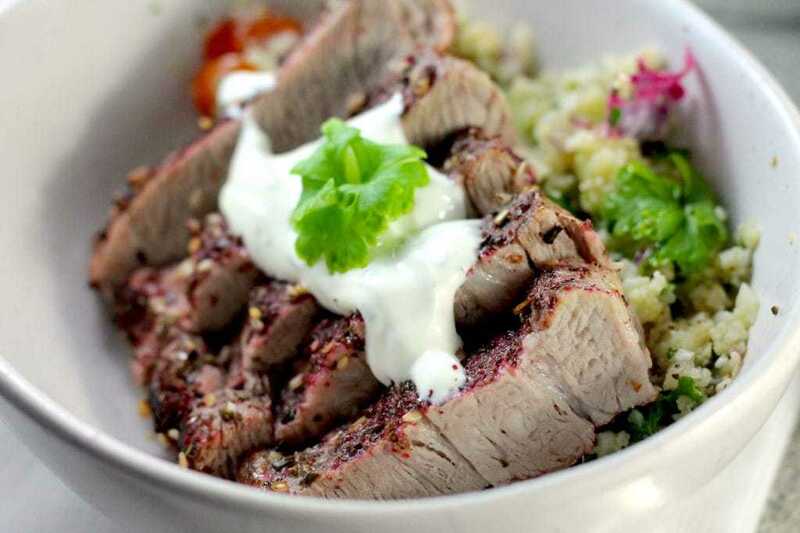 Coat the pork steaks with the Zaatar spice on all sides and pat to stick. In a frying pan, heat the oil over medium heat and cook the pork steaks for 2 minutes on each side until just golden. Place on the baking tray and bake for 10 - 12 minutes until just cooked. Meanwhile, whisk together the sauce ingredients. Remove from the oven and cover with foil to rest for 4 minutes, before slicing and serving with the minted yoghurt.